Joe Hidder – Your honest merchant guy! I have been using Joe at AMS for 3 years now. I was stuck using a merchant provider that my POS software system required. When I met Joe, he offered to look at the pricing for me. He informed me I was on basic pricing and told me he could save me over $600 a month with his wholesale plus pricing program. He then went on to explain how we could still use my POS software, but process the credit card transaction outside of software program on my computer. I couldn’t believe that by having one extra click per transaction that I am saving $8,000 dollars a year in processing fees. Thanks to Joe, I am able to use that money in better places. Two years ago, another franchise owner referred Joe to me. Joe asked me to explain my business to him. I told him that I have nine salespeople out in the field selling windows where customers need to pay a 50% deposit and then a few weeks later the remaining 50% payment is processed after the installation is complete. When I told Joe that we were writing down credit card numbers and hand keying them, Joe told me what he could do. He could provide me with a gateway so all of my sales people would have mobile card readers for their phones, customers could swipe the cards and receive emailed receipts, and that I can manage and view all the activity from the main office. Not only did we save thousands of dollars with Joe’s program, we appear much more professional in front of our customers and are much more efficient. If I ever need anything or have question, I know Joe is just a phone call away. I was referred to Joe at AMS by a friend that said he would take good care of me. I have a client base of 1,000 customers and was in the process of switching my Point of Sale software. When I contacted Joe I wanted to see if I could save some money, but also I needed to be assured that I would have no downtime in the transition. Joe came through on both fronts. Not only am I projected to save nearly $40,000 in processing fees over the next three years, but the transition was seamless. Joe’s proactive level of follow up and support is unparalleled. In a complex industry, it is great to have someone like Joe that you can rely on. Joe approached me about doing an analysis on our statement. He explained to me the benefits of interchange pass-through pricing vs. traditional tiered pricing and the benefits of The Durbin Act. It sounded good so I decided to give AMS my account. I am happy to say that I saved 35% and over $700 in fees our first full month with AMS. I would recommend giving Joe the opportunity to see what he can do for you. READY TO STOP WASTING MONEY? Fill out the form to get your free cost analysis. Find out exactly how much you can save with Joe. 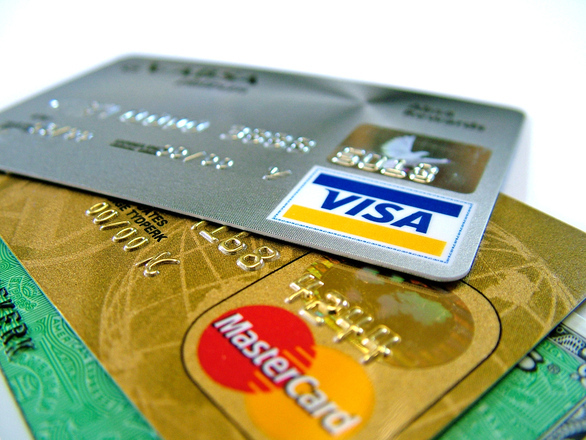 Running a business is tough enough without having to worry about payment processing. Joe Hidder is an honest guy in a not-so-honest industry. He understands the complexities of the industries and can help get you the best rates on credit card processing.